VENICE is a magical, car-free city that rises out of the water, full of romance and imagination. Explore elegant Renaissance palazzi squeezed between grocery shops and wine bars. Churches offer Renaissance art masterpieces, and there is a canal view down every street. Gondolas weave their way between ferries and transport barges. Sunset on the lagoon will transport you to another, slower more soothing time. Other incredible sights include the Gothic Doge’s Palace, perched on the edge of the lagoon, the Basilica of San Marco, which glows with Byzantine gold mosaics. 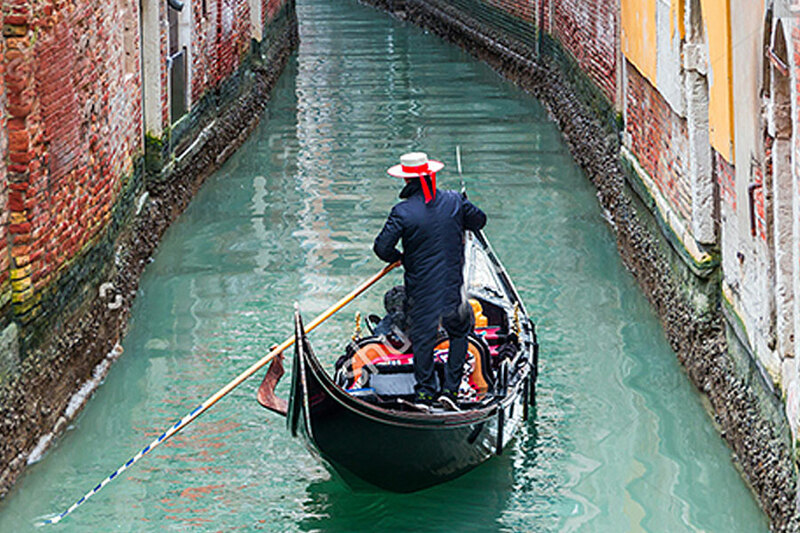 Get lost in the city’s labyrinthine network of islands, bridges, pedestrian alleys, and canals. Make time for unstructured afternoons spent wandering from palace to piazza, exploring small museums and shopping the stalls that line the streets. Soak in a fascinating amalgamation of influences—Roman, Byzantine, Ottoman, and of course, Italian!